Mountaineering expertise for everyday use: a well-designed little daypack for versatile everyday use and shorter hikes. 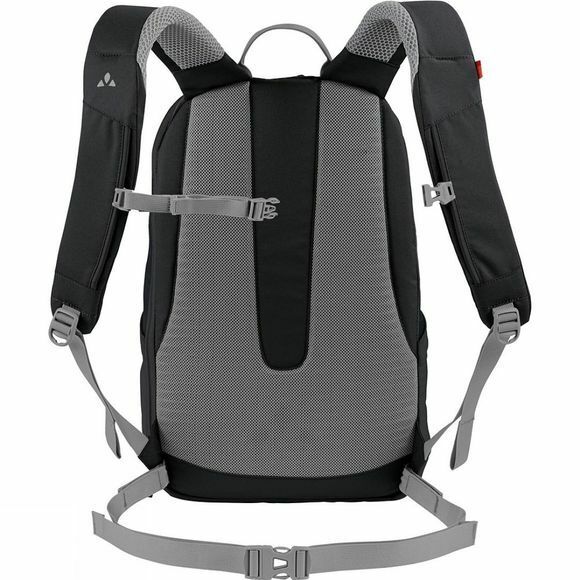 The comfortable carrying system and removable hip and sternum straps ensure a pleasant fit during sports activities. Everyday cyclists and bike commuters are able to attach their bike lock, helmet and light to the front of the backpack. With an internal, safely padded compartment for a 13-inch laptop or tablet computer. The asymmetric three-way zip is extremely practical: it allows the daypack to be accessed either from the top as usual or from the side. Ensuring you can also conveniently access to your laptop when the backpack is full. In the main compartment is a well-organised compartment for storing USB sticks and a laptop battery. Your drinking bottle and rain jacket can be stored in the elasticated outer pockets. Those seeking a backpack for everyday use, bike commuting or shorter hikes will find a reliable companion in the Omnis 22 Rucksack. 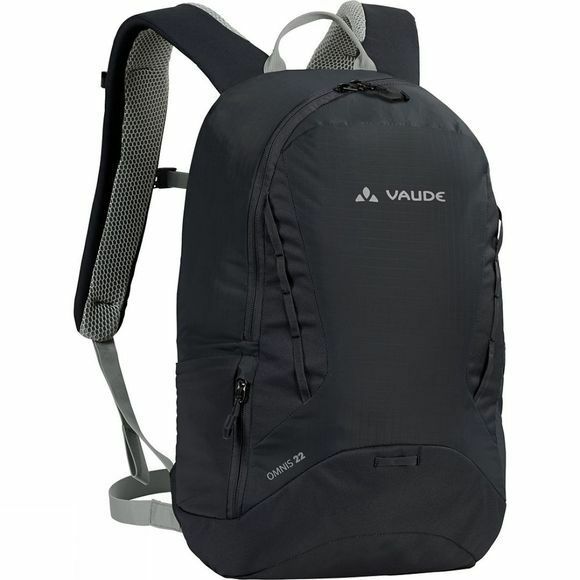 Green Shape is Vaude's guarantee for environmentally friendly products – made from sustainable materials and resource-conserving manufacturing.